Every year about this time of year, the kids and wife decide it's time to go to First Monday Trade Days in Canton - it's like some birdie tells them "you will find some great deals this weekend in Canton" and the husband tells them, "oh, no not again!" You know who is going to win that argument, so off to Canton we went to shop with the hundreds of thousands of other shoppers looking for deals on Christmas presents. 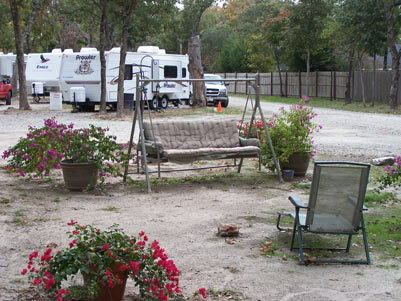 Since this was a last minute plan, the only campground that we could find nearby was Texas Log Cabin & RV Park, which is about 6 miles south of Canton. You can read the review of this park by clicking here. 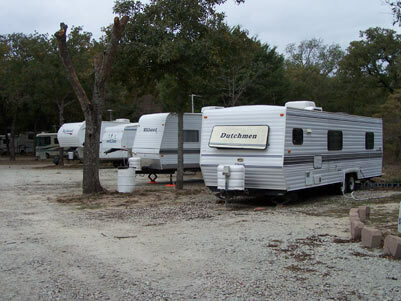 Canton has plenty of lodging and campgrounds and Purtis Creek State Park is about 20 miles south. Visit the Canton Visitors Bureau web site to learn more. First Monday used to be the first Monday of each month but First Monday is no longer on Monday. Not only that, First Monday now encompasses four days, none of which are Monday -- First Monday is on Thursday, Friday, Saturday, and Sunday preceding the first Monday of each month. Confusing? Well...it all began in the 1850's about 60 miles southeast of Dallas in Canton Texas, when the circuit judge came to town on the first Monday of each month. Area folks came to town to watch court proceedings and conduct their business. This also became their day to stock staples and so they brought with them their goods for trading. Naturally, being in Texas, this trading grew and grew and grew, becoming the largest flea market in the world, as well as the oldest. Today the little town of Canton, with population 5147, sees 300,000 and more visitors each First Monday. First Monday now has over 3000 vendors for both new and used items, antiques and collectibles, rustic furniture, contemporary furniture, iron works, jewelry, baby items, knick knacks, pet items, toys, electronics, sewing material, silk flowers, windmills, fountains, candles, and even hairpieces where you can get a free makeover to see how the hairpiece looks in place, before making a purchase. The shopping areas (Old Mill Marketplace, The Village, East Gate Market Place, the original fairgrounds, and the Dixie House) cover a large expanse of open-air vendors as well as indoor vendors with heating and air conditioning. A trolley service is available to transport shoppers from some parking areas, and mobility scooters can be rented by those who aren't up to a lot of walking. The weekends are packed, so try to attend on Thursday and Friday. Do a Google search on First Monday Trade Days and you'll find plenty of information. I guess you need to experience this event at least once -- it is unbelievable and you can find lots of ways to spend your money. While the ladies were shopping, the men headed out to play a great golf course -- Twin Lakes, which is about 10 miles south of Canton. 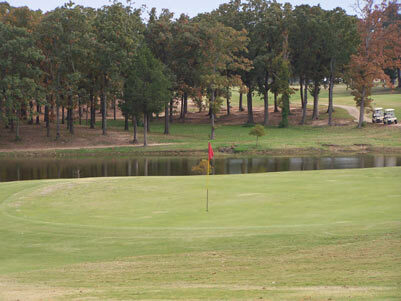 You can read the review of Twin Lakes (rated 8 stars - just about made our top ten favorites) in the Texas Outside Golf Section. 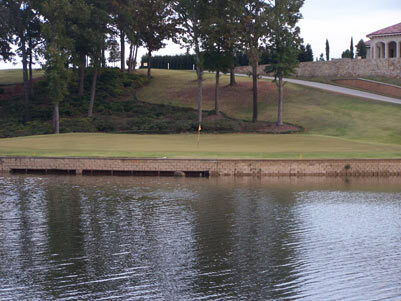 What a great course -- pretty, challenging, lots of variety, and very fun to play. Shop one day and play Twin Lakes the next. That evening, we had dinner in town at Ochoa's Cafe is reminisce about our shopping experiences and our almost birdies -- seems the boys playing golf had more fun! Anyway, Ochoa's is a very good Mexican food restaurant in Canton - the owner is Javier Ochoa and the phone is 903 567-3373. Canton is a dry county, so be prepared. The food is fresh, hot, and good and the staff is very friendly and attentive. They are usually very crowed during First Monday Trade Days, so go early or late if you don't want a long wait. 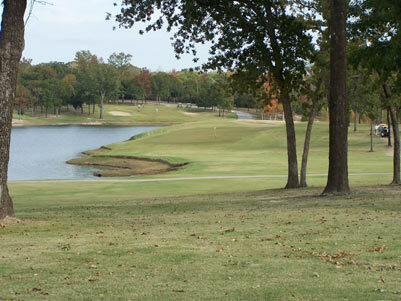 Sunday before heading home we played golf at Van Zandt Golf Course (rated 5.5 stars) which is a mile north of Canton. Click here to read the review. All in all, not one of our more exciting weekends, but we did get some Christmas shopping done and played a great golf course - and got out of Dallas.